Hidden identities lie everywhere .. A person who passes you might not be who they really are. Everything seems normal but in reality everything is a nightmare is the dark forest that holds secrets. 2 were-wolf packs , one forest.. the problem is both are fighting to be on top and the best pack int he forest, while fight breaks out, land disputes and loved ones die the people don't suspect a thing until forbidden love starts to happen.. The fate is in your hands as you decided what to do within the forest anything could happen as the two alphas start to grow confident and try to take over the forest.. Chose your pack, or play as an innocent human that might fall in love with one... The choice is yours, but just remeber, not all choices are meant to be played safe. 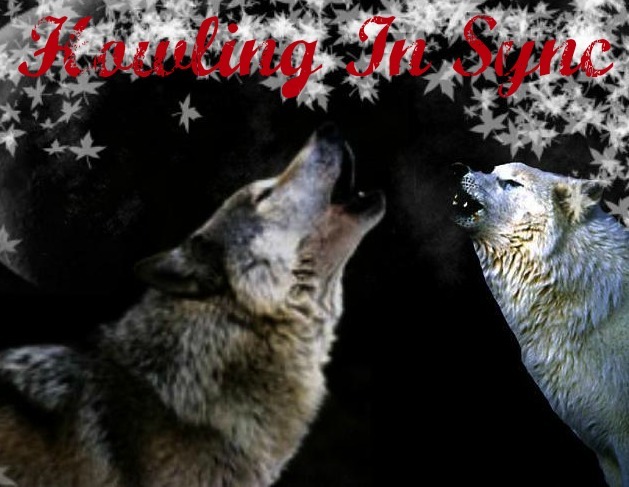 Howling In Sync is /new/ were-wolf site looking for members. Currently, both packs have leaders and all the high rankings are open. We are small and new but hope to gain members, here you can RP a human, were-wolf or a hybrid through our various forums, hybrids conclude of half wolf and vamp and or Half wolf and half human. Currently: We are seeking staff!